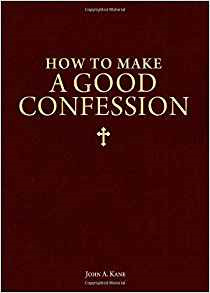 If you still drag your feet about going to Confession, heres the help you need to enable you to overcome your reluctance and open your soul to the vast reservoir of mercy found in Confession. This down-to-earth, practical guide shows you how to transform your confessions from embarrassing moments in a dark room into profound experiences of Gods love. The author, Fr. John Kane, provides solid guidelines for how you can (and must) make the most effective possible use of the sacrament of Reconciliation.